MacKenzie Commercial Real Estate Services, LLC is proud to have represented The Cosmo Company in the addition of Roses, a discount department store, to Parkside Shopping Center at 5100-A Sinclair Lane in Baltimore, MD. Moving into an approximately 45,000 square foot space formerly occupied by K-Mart, Roses will serve as the second anchor to the shopping center, joining Giant Foods, Wells Fargo, and DTLR, among other notable national retailers. Roses grand opening will be held on March 29th, 2018. Roses, a regional retail chain founded in 1915 by Paul Howard Rose, was purchased by Variety Wholesalers, Inc., in 1997. Variety Wholesalers, Inc. is a family-owned business established in 1922 that operates nearly 400 stores and is currently based in Henderson, NC. Learn more about Variety Wholesalers, Inc. and Roses stores here and here. Parkside Shopping Center totals nearly 184,000 square feet and boasts excellent visibility, tremendous frontage and multiple access points. Approximately 40,000 square feet remain available for lease—the space is ideal for one tenant or can be divided to accommodate multiple uses. 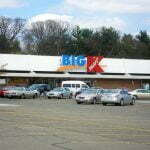 For more information on Parkside Shopping Center, please visit MacKenzie’s listing here. For leasing inquiries, please contact Tom Fidler at (410) 494-4860 or tfidler@mackenziecommercial.com, or Laura Williams at (410) 494-4864 or lwilliams@mackenziecommercial.com.